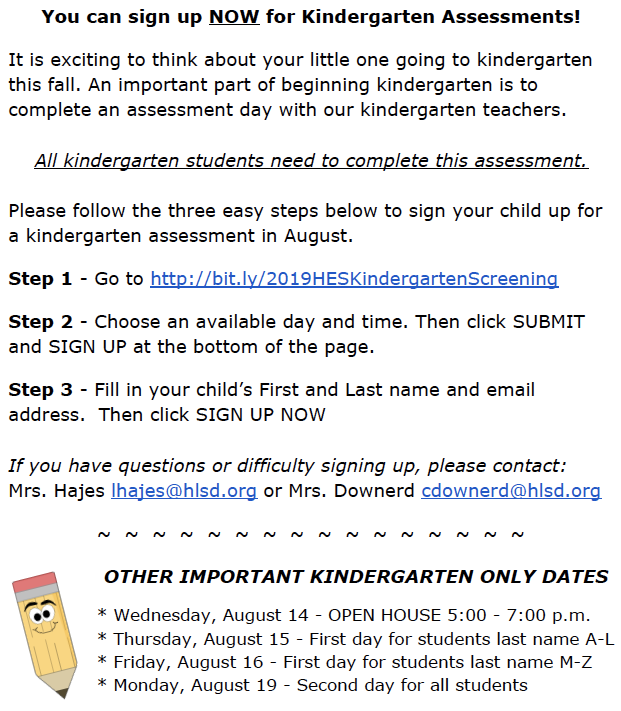 visit http://bit.ly/2019HESKindergartenScreening to signup for a Kindergarten Assessment. Complete details are listed below for your reference. If you have any questions, you can contact Mrs. Hajes or Mrs. Downard by email.